SketchUp 2019 landed yesterday! In case you missed the list of features, you can whizz over to here and check them out. There is also a brand new way to access SketchUp; a subscription option is now available – as well as the classic perpetual license. So what does this mean for you? I have a SketchUp Pro 2018 license, what now? How do I activate my SketchUp Pro 2019 Classic licence? Enter your details (provided by your UK reseller) and ‘Add License’ to authorise SketchUp Pro 2019. The ‘Classic’ tab will show as active. The Subscription tab will show as in trial mode, since you have a Classic Perpetual licence and not a subscription license. 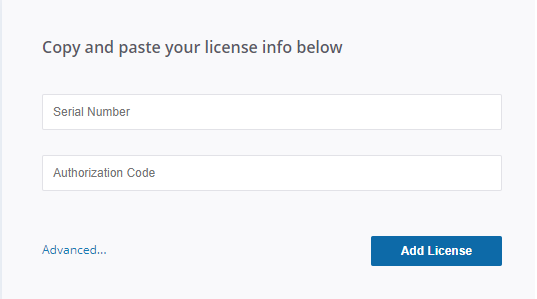 What happens to my previous license when I upgrade to 2019? If you had a 2018 single user license, your current 2018 version will continue to run as an existing installation and you can run 2019 alongside 2018 if you wish to. You can’t install 2018 on a new machine. If you had a 2018 network license, authorising your new 2019 licence on a single machine starts a 60 day countdown, after which your previous license will be disabled on all machines. We recommend keeping your existing version of SketchUp installed until you know that 2019 is running smoothly on your machine. I had an older version of SketchUp Pro but my maintenance contract has expired. What are my options? If your maintenance contract expired within the past 3 years, you can still upgrade that license to version 2019, as a perpetual license. Contact the reseller you ordered through originally for a quote. If you are unsure who your reseller was, let us know and we can assist. Instead of upgrading this license, you may instead purchase a new SketchUp Pro Subscription if you wish to. Again, your reseller can assist. My SketchUp Pro maintenance contract expired over 3 years ago – what now? That license can no longer be upgraded. You can either purchase a new SketchUp Pro 2019 perpetual license with a maintenance and support contract, or you can of course choose to subscribe to SketchUp Pro. The choice is yours! What are the differences between a SketchUp Pro 2019 Classic (perpetual license) and a SketchUp Pro Subscription? The SketchUp Pro perpetual license does not expire – it is only the maintenance and support contract against it that is renewed. The maintenance contract gives you access to new versions as they are released and technical support. If you choose not to renew the M+S contract once it expires; SketchUp will continue to run. The Subscription is annual access to SketchUp Pro. If you choose not to renew your subscription, you will not have access to SketchUp Pro. SketchUp free is ideal for hobbyist. It is not permitted for commercial use. 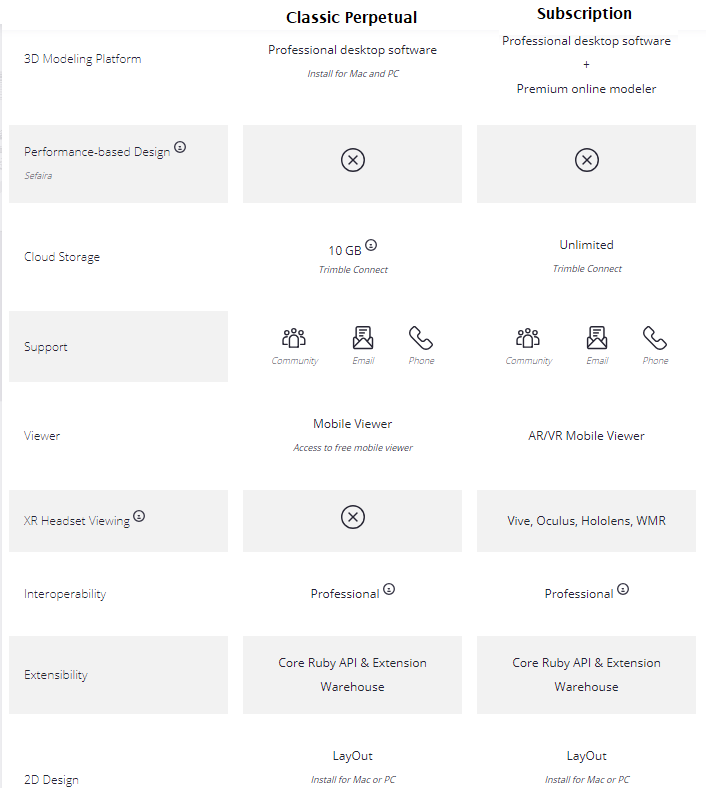 If you’re not using Pro you’re missing out on a wide range of features designed for producing professional-grade work. I’m still not sure what SketchUp I should buy/subscribe to! Can I talk to a real human for some more advice? Sure can! Give us a call on 01844 263750 and we will be happy to talk you through all of your options. 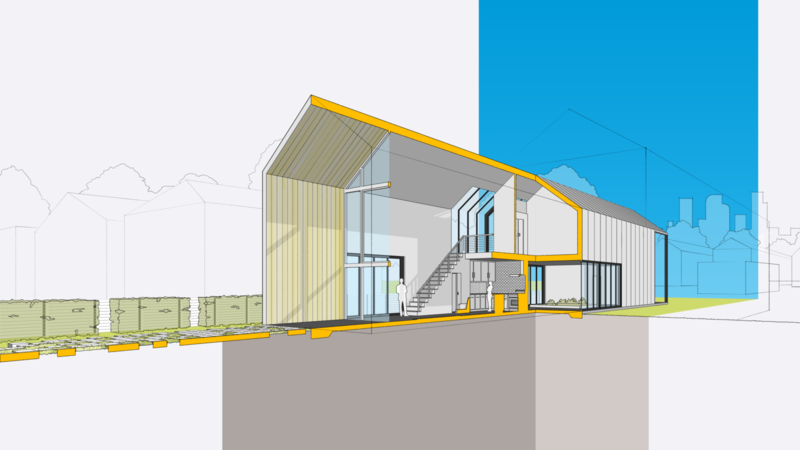 ← What’s new for SketchUp in 2019?